Double commas. Simple typos. A word that is not misspelled, per se, but is just in the wrong place. Software grammar checkers like Grammarly are getting better all the time, but we as humans keep thinking of ways to trip them up. Microsoft Word is even getting better without the Grammarly plugin, but it still misses things from time to time. That is because it uses a machine learning program: it learns from us as we type, tell it to ignore certain issues or add words to our personal dictionaries. Google docs have another delightful feature: the dictionary will even correct the spelling of celebrity or popular athlete names, just as if you had searched Google for them. Once again, machine learning and an enormous database mean spelling and grammar correction is getting better all the time. But it still isn’t human. Sometimes sentences are too long, or the word order just does not make sense. You are not clearly getting your point across. This is where a human editor comes in. Think of your story, or your article, or whatever you have written as a fire. When you created it, you created a lot of smoke. An editor’s job, really, is to clear away all of the smoke. The problem is, since you created it, you often don’t see the smoke yourself. As writers, no matter what level your experience, we tend to repeat words in close proximity to one another. “That” is extremely common, and most of the time unnecessary. But we repeat other words, like the phrase “as well” or “in light of.” We often use “though” and “however” much too often and too close together, especially in non-fiction. You can catch these when doing self-edits, but it takes a conscious effort. Often, if you read your work aloud or have it read to you by a program like Natural Reader, you will notice your mistakes before you submit your piece or publish that blog post. Someone else reading your work will probably catch the error right away. They can then flag the word for you so you can substitute a synonym or somehow reword your sentence to eliminate it. Sometimes we use the wrong word in place of the one we actually want. But when we read over our own work, we see the word we meant to put there. This is called being word blind and is why editing and proofreading by another set of eyes is so critical. The editor will see the wrong or odd word usage even when software does not catch it. These types of errors not only make you look unprofessional in some venues, but they often throw the reader out of your narrative, making them wonder what you meant. A software grammar checker can tell if your grammar is wrong (sometimes) or if your spelling is off (most of the time) but it does not know the point you are trying to get across. So far, software editors, at least those available to the general public, are not able to do this effectively. As machine learning matures, they may get better, becoming very IBM Watson-like in their evaluation of your work. Until then, and maybe even then, you need another set of human eyes on your work, one that will see your repetition, decipher your word blindness, and help you clarify your language. Self-editing is not enough. 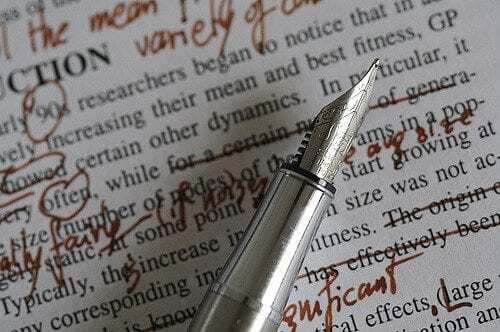 You need an editor, someone to take an objective look at your work with a fresh perspective. It is one of the many ways to make your work the best it can be.